Chris Downing’s breakthrough rapid-rebuild program has helped thousands of people of all fitness levels see maximum results in minimal time. And now he’s bringing you four brand-new workouts to take the “shift” to a whole new level. The new SHIFT SHOP workouts will be available on Beachbody On Demand October 2018 — and to help you achieve your absolute best results, brand-new SHIFT SHOP bundles will also become available exclusively on TeamBeachbody.com. The SHIFT SHOP nutrition plan is an important part of achieving your best results. 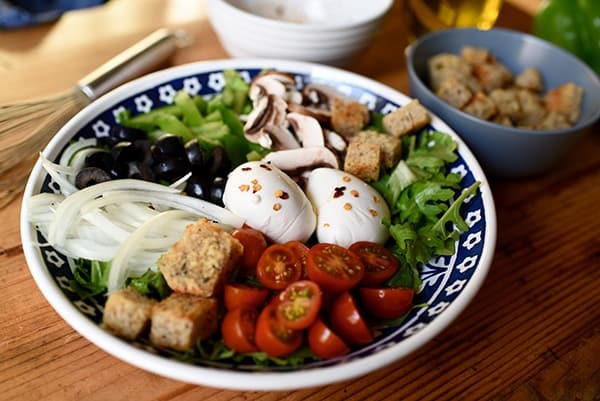 The plan features a moderate calorie deficit and keeps things super clean, progressively eliminating grains, legumes, and some of the more decadent carbs. By Week 3, you’ll be working hard on a protein-leaning, minimalist diet designed to keep you fueled and fit. Here’s a look at some of the recipes available in the SHIFT SHOP recipe booklet that will make it easy for you to reach your goals. Pro tip: Doing multiple rounds of the SHIFT SHOP? Double or triple recipes and freeze them so you’ll be all prepped for upcoming weeks. 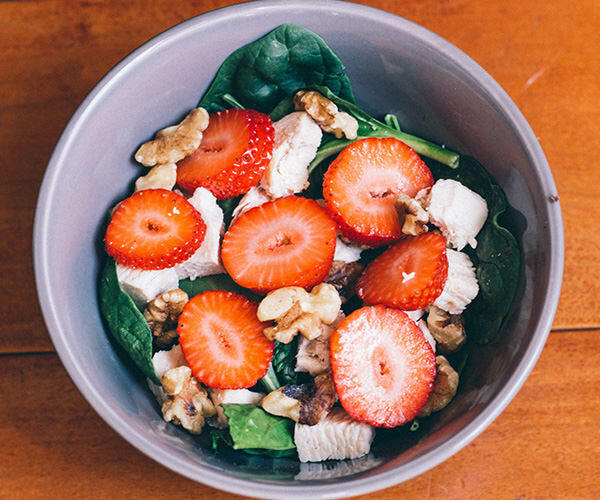 During the first week, you won’t be eating grains, but you’ll still have protein and fat to keep you feeling full and plenty of carbs (mostly in the forms of fruits and veggies) to give you energy. 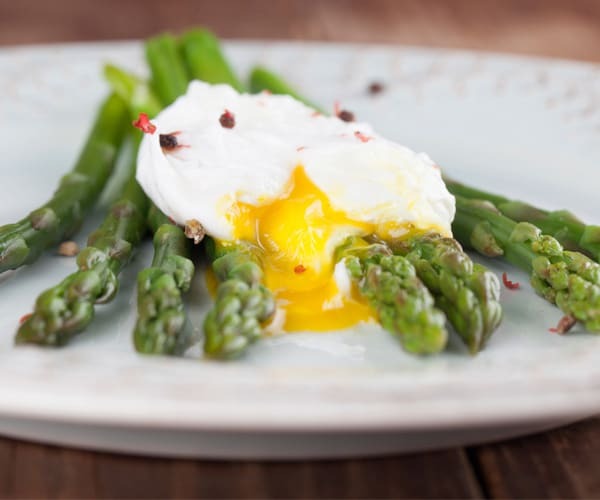 Egg dishes are an easy way to stick with the SHIFT SHOP meal plan, so they’re a staple of many of the breakfasts this week. Not a fan of eggs? 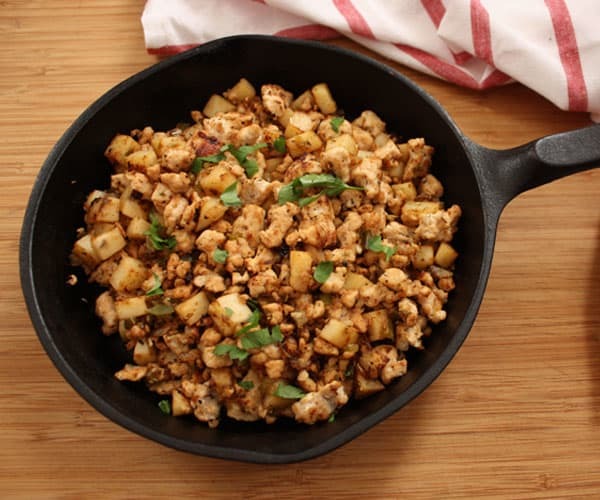 Try the Turkey Hash in Week 2 or top 6 ounces of plain 2% Greek yogurt with berries. Unless you were eating grain-free before the SHIFT SHOP, it’s during your lunches and dinners you might notice the most dramatic difference in your meals. Instead of grains, beans and sweet potatoes make up the bulk of the yellow containers to help provide you with longer-lasting energy. 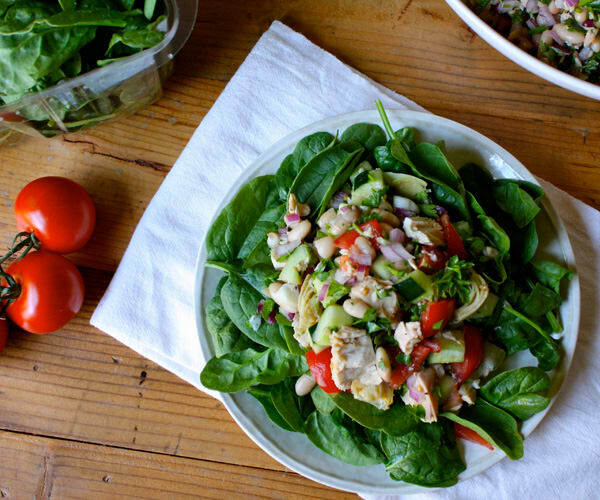 Avocado adds healthy fats and chicken and black beans load this hearty arugula salad with protein. Love burritos? 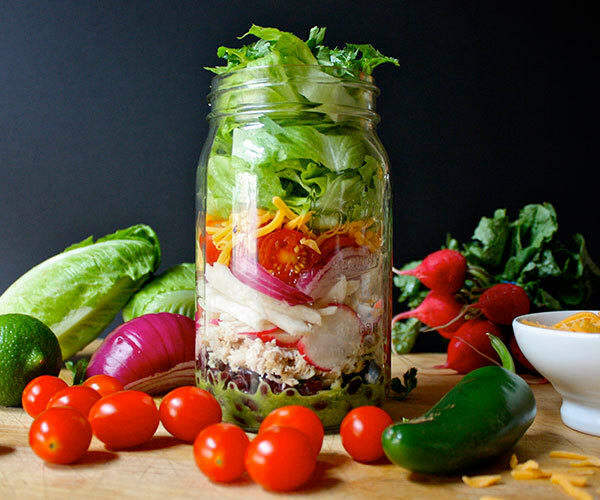 This Chicken and Black Bean Burrito Salad in a Mason Jar tastes just like a burrito minus the tortilla wrap. This set it and forget it with this Slow Cooker Beef Chili that has 31 grams of protein. With 24 grams of protein and 8 grams of fiber, this Tuna and White Bean Salad will help keep you satisfied between meals. 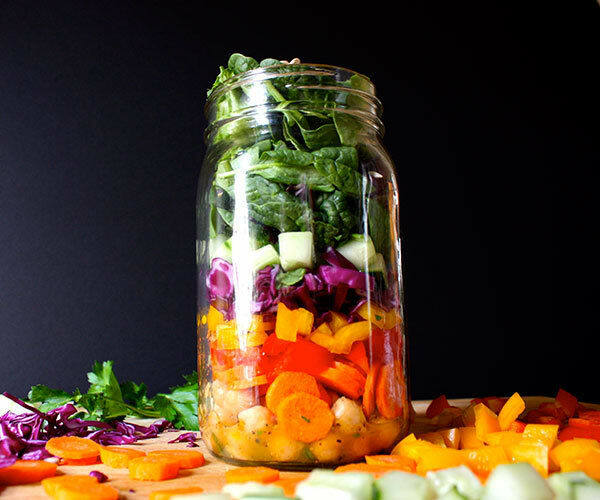 This colorful rainbow salad mixes up the texture and colors with carrots, cabbage, cucumber, and garbanzo beans. This healthier version of Buffalo Wings will help you stay away from unhealthy happy hour snacks while you’re in the SHIFT SHOP! Doing the SHIFT SHOP doesn’t mean giving up all your snacks, desserts, and sides. We even have a No-Churn Chocolate Peanut Butter “Ice Cream” that’s SHIFT SHOP approved. These Sweet Potato Skins with Chicken and Spinach always hit the spot! 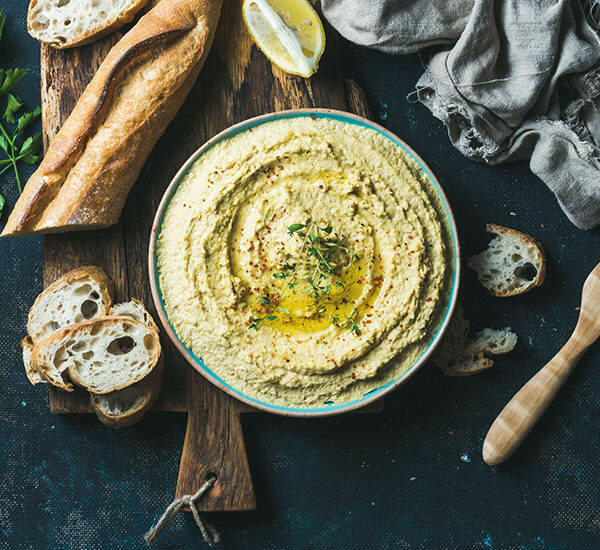 Making this Homemade Hummus from scratch is easy and fast — all it takes is 10 minutes and a blender or food processor. You made it through Week 1. CONGRATS! Now, on to Week 2. This week to help accelerate your results, starchy carbs are cut back even further and beans, lentils, and legumes are off the table. But you still have sweet potatoes and regular potatoes and lots of protein-packed recipes to keep you feeling fueled and satiated. Get ready to SHIFT! It’s the last week for sweet potatoes, so you’ll see lots of them in this week’s breakfasts. But don’t hesitate to look through the Week 1 breakfasts if you want to change it up. Our Sweet Potato Egg Cups are essentially mini frittatas that you can grab and go for breakfast or reheat for a quick and easy snack. This simple, easy Scrambled Eggs with Steamed Sweet Potato recipe is great if you’re looking for a healthy, no-fuss breakfast recipe. In Week 2, you get fewer Yellow containers, and protein and veggies become more center stage. In fact, did you know you can eat as many green container foods as you want? That Green container number is the SHIFT SHOP guide is the minimum. Bring on the greens! 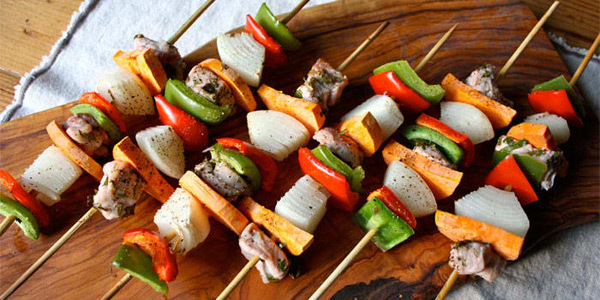 A perfect summer cookout recipe, our Pork and Sweet Potato Kabobs are just 254 calories for two. Rice is a no-go on the SHIFT SHOP, but cauliflower takes on the texture and flavor of fried rice in this Chicken and Cauliflower Fried Rice recipe. This fragrant Shrimp Stir-Fry is packed with broccoli, mushrooms, bell peppers, and other veggies and takes just under 30 minutes start to finish. This rich Beef Pot Roast with Root Vegetables makes a hearty meal the whole family will love. Looking for something sweet? Fruit is not only sweet, it’s also filled with fiber, nutrients, and water to help you stay hydrated. 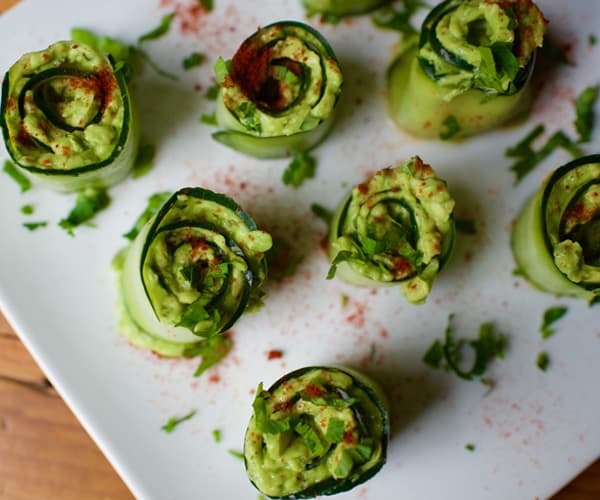 Healthy avocado meets crunchy cucumber in these Cucumber Avocado Roll-Ups. Great for a light snack! Two weeks done, one more to go! You should feel fantastic about making it this far. You’re putting your all into your workouts, you’ve transformed your diet, and you’re seeing results. This week, all Yellow containers foods are gone. But you get one more Red container and you can have as many Green container foods as you want. Just because you can’t have Yellows doesn’t mean breakfast has to be dull! Or return to recipes you’ve loved in previous weeks that are approved for Week 3! The classic Italian flavors of tomato and mozzarella come together in this tasty Breakfast Caprese Omelet. It might not have a crust, but this quiche is still rich, creamy, and delicious. 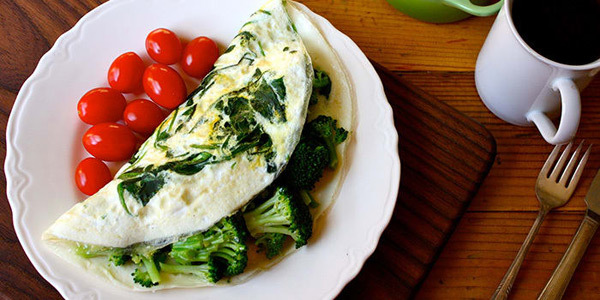 This Egg White Omelet with Broccoli and Spinach is a protein powerhouse (there are 32 grams in one serving). This Chicken and Spinach Scramble with Avocado recipe is simple, light, and loaded with protein! 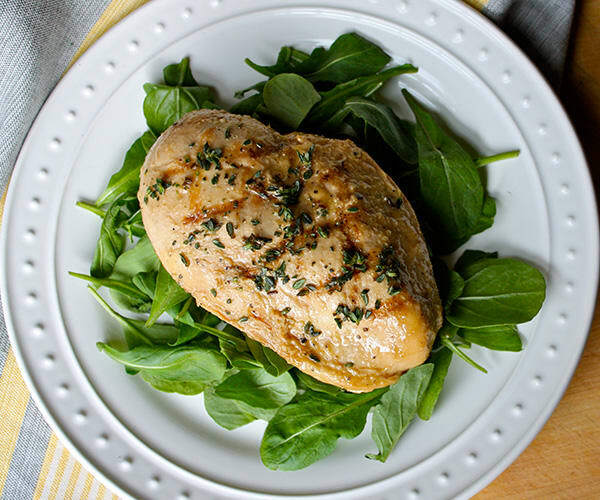 This week, the lunches and dinners we’ve included are all about lean proteins and veggies. Your starchy carb cravings might kick in, but stick with it. It’s easier than you think and you’ll be so happy you did! You need just five ingredients — olive oil, chicken, mozzarella, spinach, and garlic — to make this easy Chicken Florentine. Crunchy lettuce wraps are where it’s at! 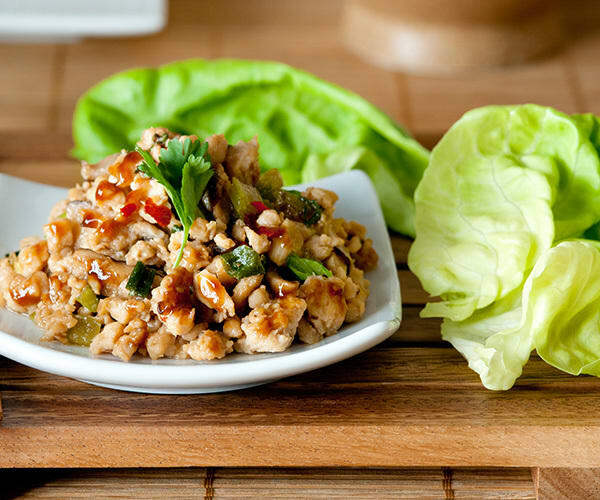 Fresh veggies and fragrant aromatics make these Turkey Lettuce Wraps super flavorful! 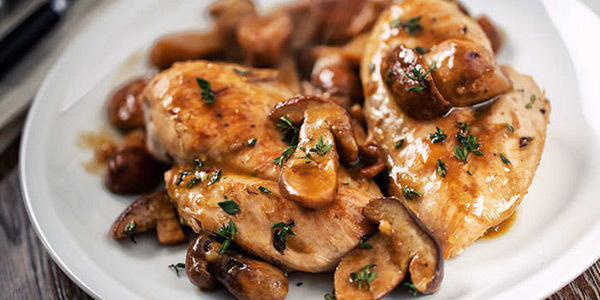 This savory Chicken Breast with Sautéed Mushrooms recipe is filling and delicious. 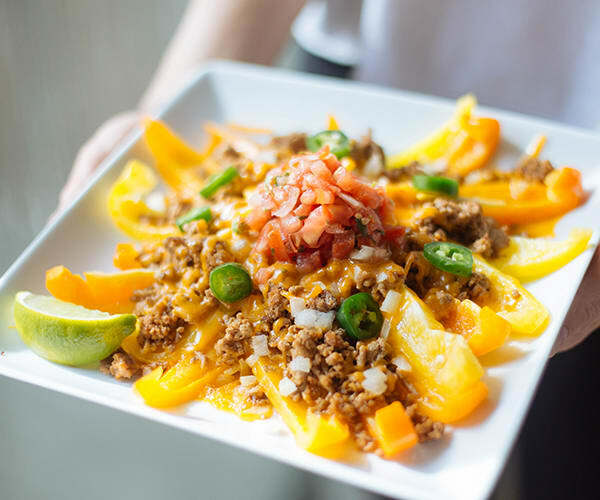 These Bell Pepper Nachos skip the chips and we think they’re so good you’ll be eating them even when you’re done with the SHIFT SHOP! There’s (almost) never a bad time to eat pizza, but in Week 3, dough is a no-no so try this Vegetarian Pizza Salad instead. Just skip the croutons. This Seared Ahi Tuna recipe features must know step-by-step instructions to help you can master searing tuna! You’ll be glad you added this technique to your repertoire. 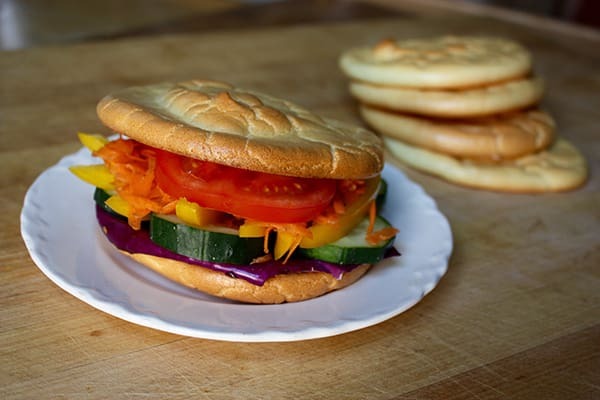 This week, we’ve focused on more veggie-based snacks to keep you going between meals. 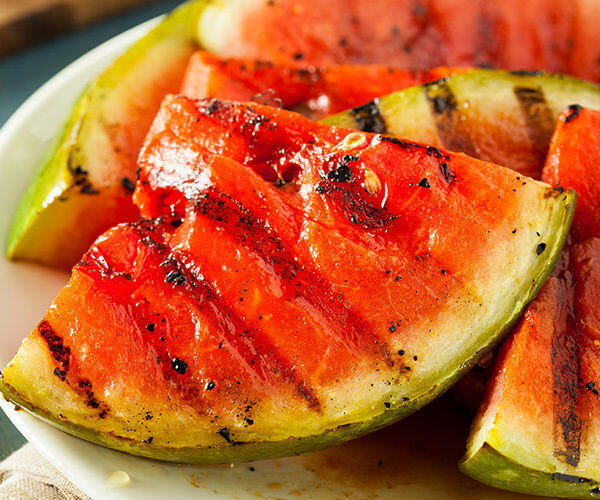 But if you’re looking for fruit snacks, the Grilled Fruit Kabobs and Grilled Watermelon from Week 2 are still OK. 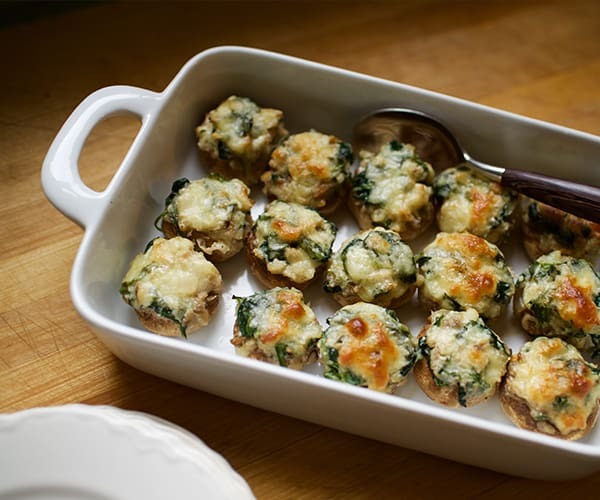 These Spinach and Cheese Stuffed Mushrooms are so cheesy and delicious it’s hard to believe they’re just 25 calories a piece. This one is all about technique. This Roasted Asparagus recipe will teach you how to make asparagus so it’s crisp and flavorful, never soggy. 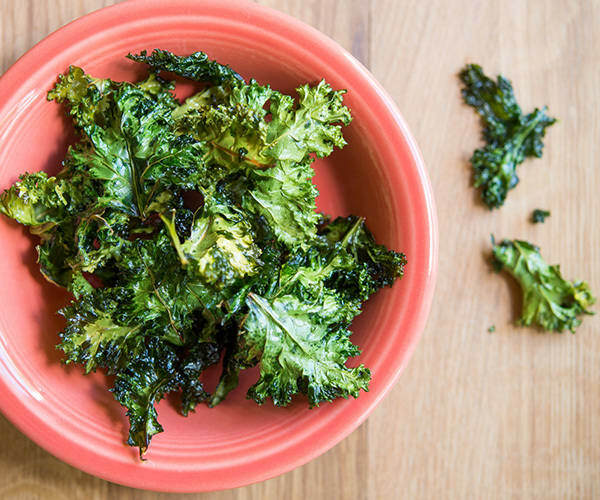 Save time and money with these Kale Chips you can bake in the oven. These juicy Strawberry and Mint Popsicles are a yummy summer treat. Shakeology is a healthy and delicious superfood nutrition shake that delivers vitamins, protein, minerals, antioxidants, probiotics, and more. 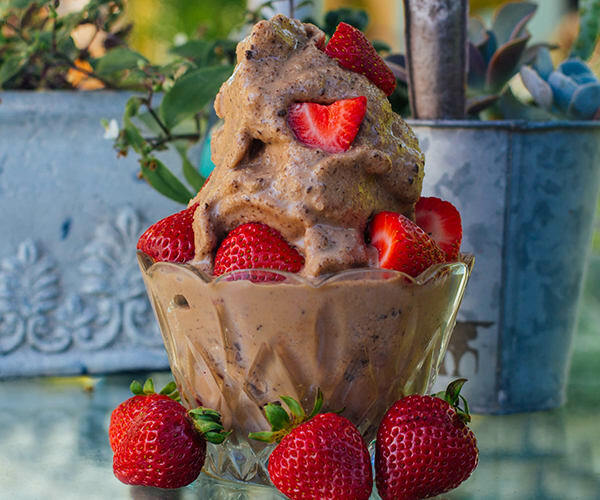 We encourage you to enjoy it during the SHIFT SHOP — here are some of our favorite Shakeology recipes! 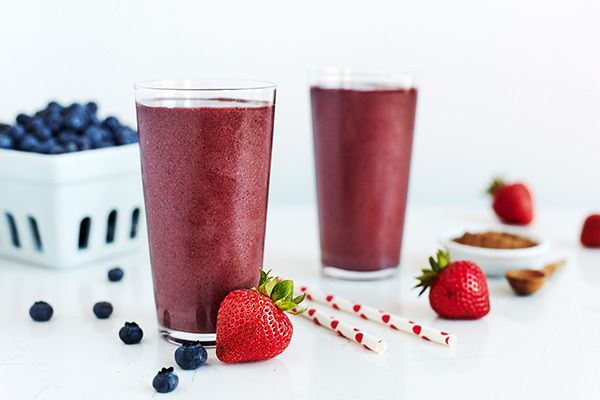 This easy Shakeology recipe pairs chocolate and fresh berries. Strawberry and banana are two classic smoothie flavors. Throw them together, add a little plain Greek yogurt and some Strawberry Shakeology, and you’ve got a healthy, high-protein smoothie. If you love lemon bars as much as we do, you’ll love this smoothie too. Fresh lemon juice, Vanilla Shakeology, and a touch of lemon zest make this tangy smoothie a hit. 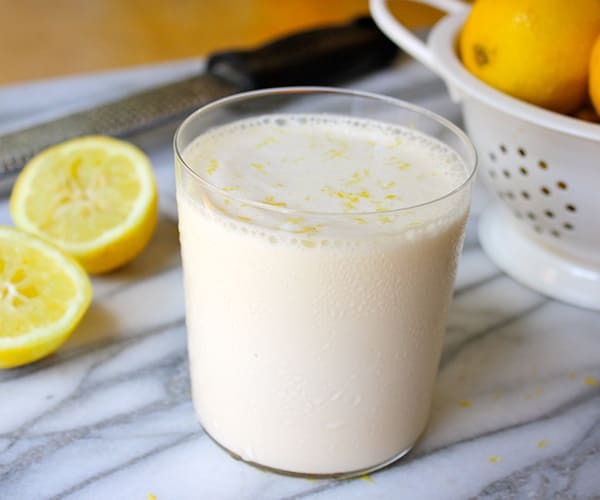 Get the recipe for this Lemon Bar Shakeology smoothie. Start your day with this little pick-me-up. 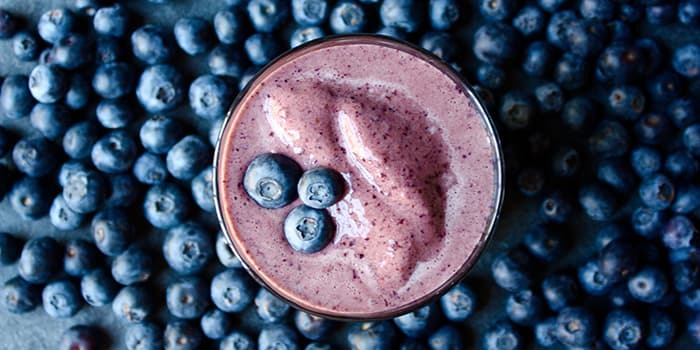 Cafe Latte Shakeology blends with creamy almond milk in our Blueberry Brew Shakeology recipe.